It was only a matter of time, but the new Ghostbusters trailer hit, and brings with it a new tone for the movie. 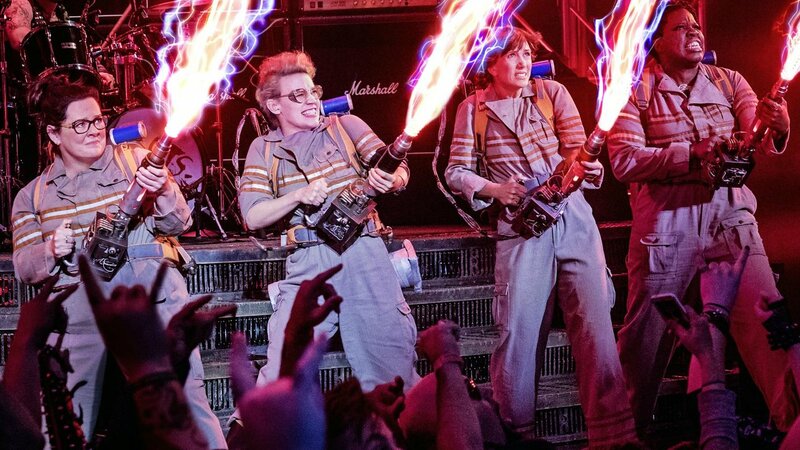 The internet has been a buzz in regards to the 2016 reboot of the Ghostbusters franchise. Paul Feig has picked up the mantle as director and is trying to build something new and exciting for the next generation of fans. Focusing on a fully new cast, and new world, this movie staring Leslie Jones, Melissa McCarthy, Kate McKinnon, Kristen Wiig, Michael K. Williams and Chris Hemsworth is looking to take the series in a new direction. It is hard to say if the Bridesmaids director will bring some of the concepts seen in that film to this new reboot, or if it will hearken back to the original series but either way people are keeping an eye on this film. Now with the latest trailer we are getting a better look at what people can expect from the final film. The studio are now showing much more of the ghosts and action people will experience in the movie, and has many scenes that pay homage to the original Ghostbusters. As of right now it is hard to know what to think about this film, but at very least it will be something people can enjoy their favorite actors taking part in. However, it sort of feels as if Sony misdirected the marketing, even with the all-female cast. The trailer feels very male-focused; a lot of action, explosions, and machismo, which could alienate their target market and hurt opening weekend numbers. At it’s core, Ghostbusters(1984) was a character-driven comedy, and the original trailer brilliantly framed it that way. However this new trailer seems to frame Ghostbusters like a generic action flick, and it’s trying to get us in the seats for all the wrong reasons. With the release only months away, fans won’t have to wait long to find out. Until that time, enjoy this latest trailer and let us know what you think in the comments below.